Where our path leads us, and the obstacles we will face along the way don’t always look + sound the way we would expect them to- but that doesn’t mean they weren’t perfectly designed for us. Todays (enchanting) guest’s path has lead her to places she never dreamed it would- stardust, and all. Tamara Arnold is a two time international best selling author, a Mamapreneur, Mental Health Advocate, Energy Reader and Spiritual Badass. Founder and creator of the Chakra Business Academy, she assists spirit driven entrepreneurs from all over the world to find their stardust and create an impact with their movement. 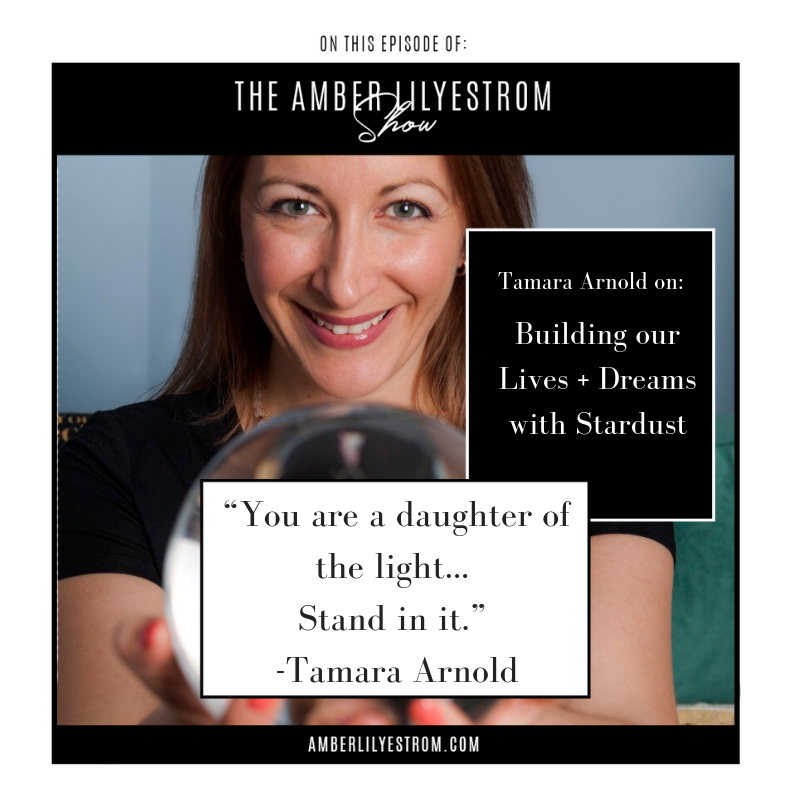 Tamara is one of my favorite people on the planet and a member of my In(Her) Circle… and I can’t wait to share this woman’s sheer magic, heart + incredibly inspiring wisdom with you. Head here to learn more about the Accelerator Mastermind!